Studying your competitors; paying attention to the lessons of evolution; drawing inspiration from a higher level, and chances are you’ll be better than the rest. Following those dictums, Audi has done it again! The latest Q7 to come out of Ingolstadt is easily the pinnacle for this class-beating SUV. 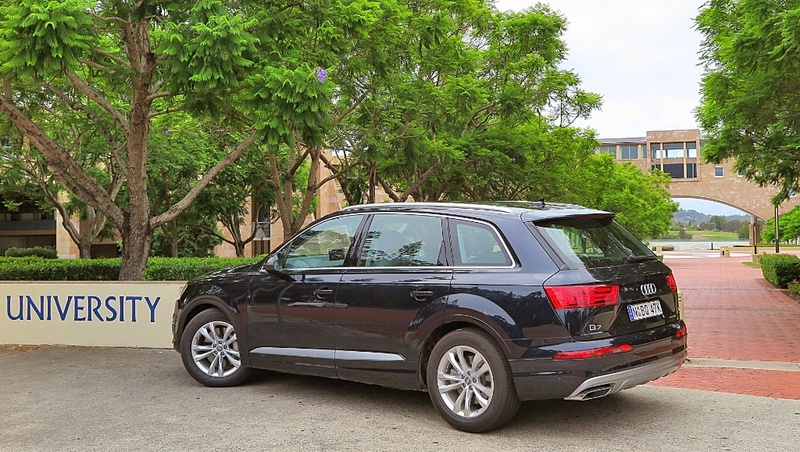 A few weeks ago I compared the much-improved Kia Sorento to the Audi Q7 – that was the old Q7! This one has just created a huge gap between anything you can compare it to, and, I venture to suggest, its Mercedes-Benz and BMW competitors. 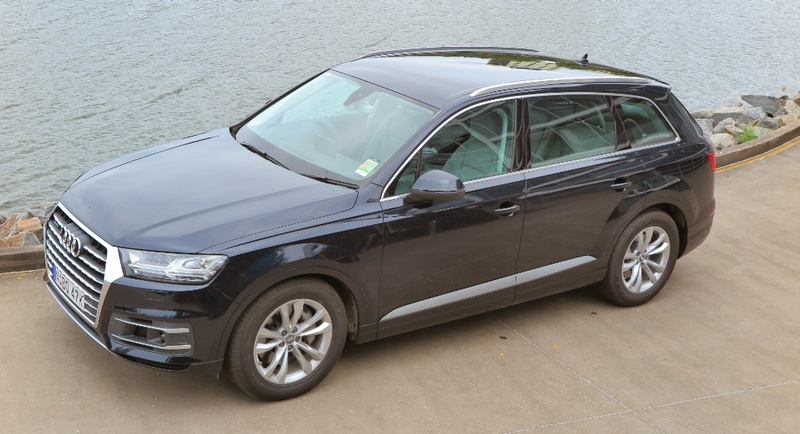 The V6 TDi Q7 I have been driving is like no other diesel I’ve driven. 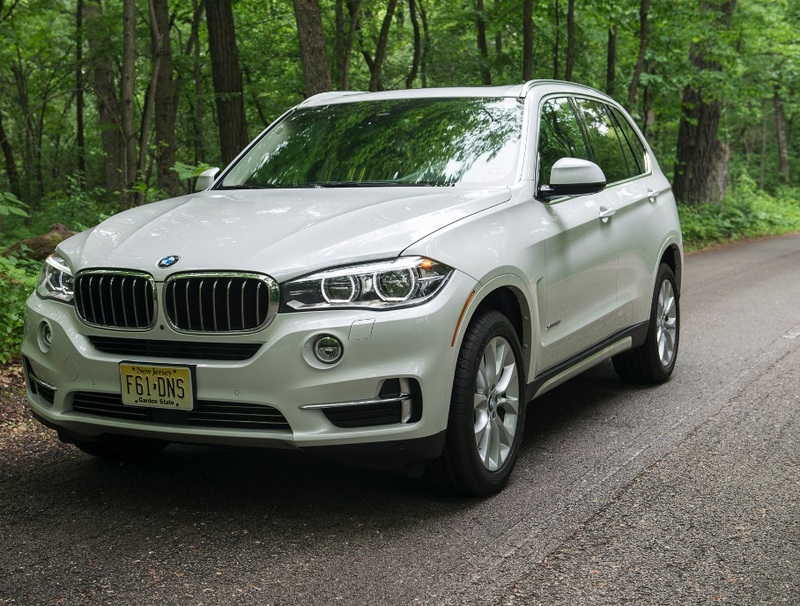 Smooth, exceptionally quiet and lots of grunt to make it a dream to drive. 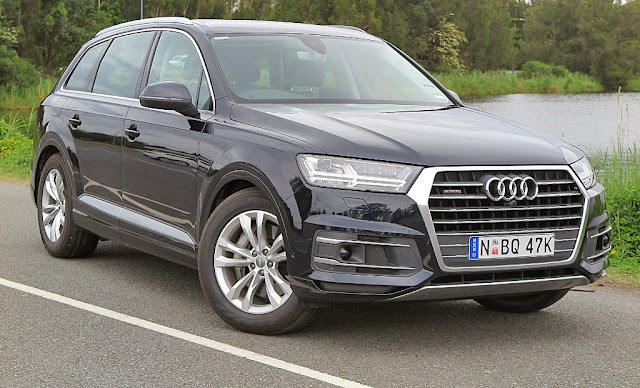 Matched beautifully to an 8-speed (Tiptronic torque converter) transmission, the Q7 never falters – power and torque on tap for every occasion. Yes, it's sprightly and handles well, but I’m afraid I can’t say it handles like a sports car. You’re pushing around a huge lump of weight, with a high centre of gravity and so it feels just like it looks. Big, and a big handful - when you’re pushing on outside of suburbia. 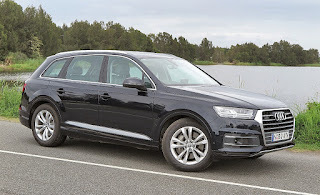 A quick spin at high speed into the Gold Coast Hinterland convinced me to return to the ‘burbs and just enjoy its smooth tractability, and exceptional creature comforts. I don’t think you’ll see many Q7s bush-bashing, like you might see a Range Rover out in the wilds. 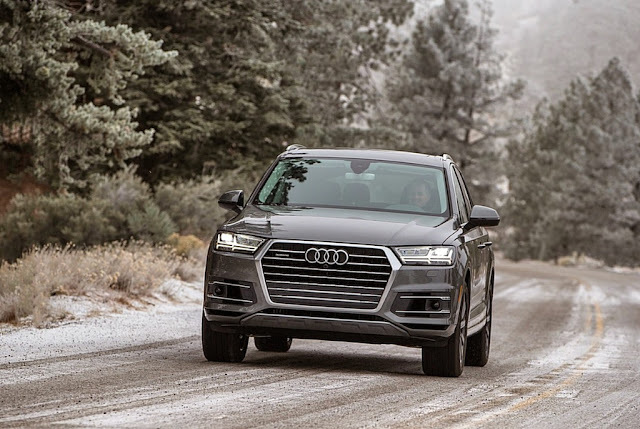 Audi's Quattro 4WD however will ensure sure you’ll see it making a good job of dealing with snowy, icy roads – its huge footprint and all-wheel-drive will guarantee that. Nothing to see here! 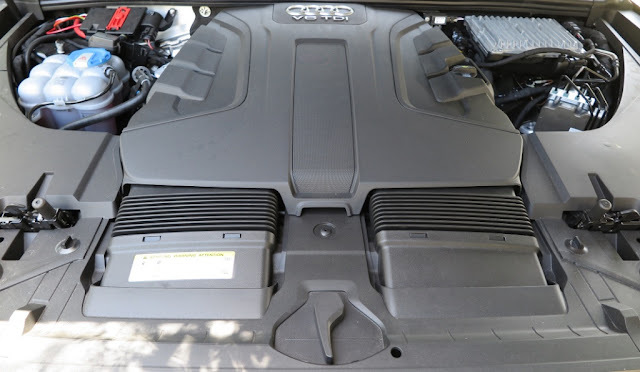 All that plastic shrouding does help dramatically reduce NVH. The combined fuel consumption figure is given as 5.9 L/100km; but I never got anywhere near that. The very best was 8 L/100km, but it does weigh in excess of 2000kg! Needless to say its size means it’s incredibly capacious, but its best party trick is almost hidden from view. So, you need a third row of seats for some rug rats. 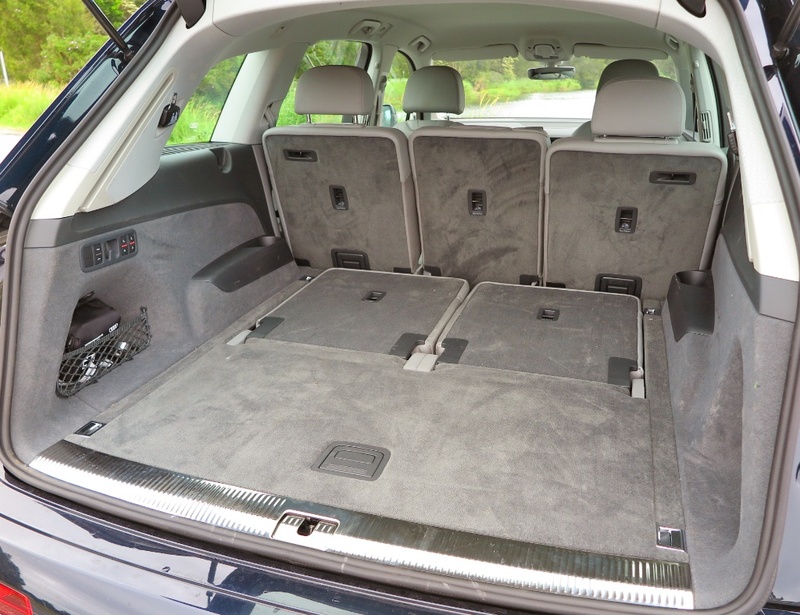 Open the rear tailgate, reach inside, press a button, and the third row will rise into place courtesy of electric motors. That’s neat. 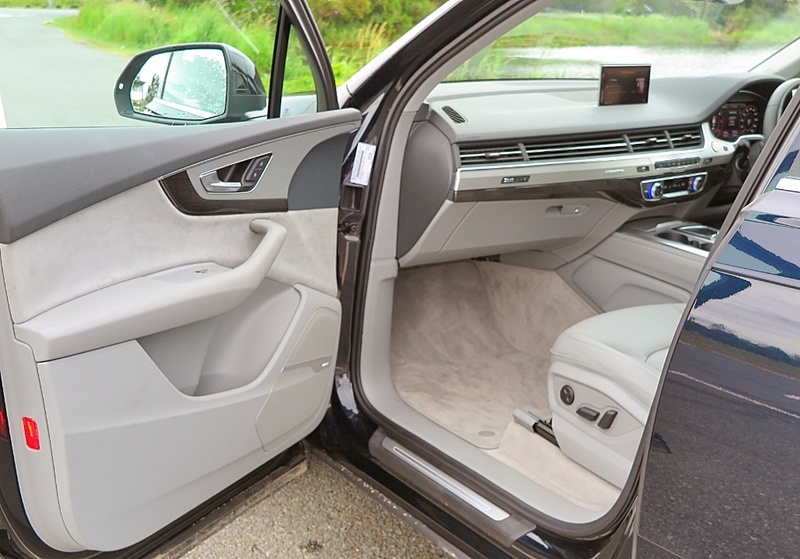 Most of its non-powered competitors offer you a real struggle to put the third row of seats up and down. 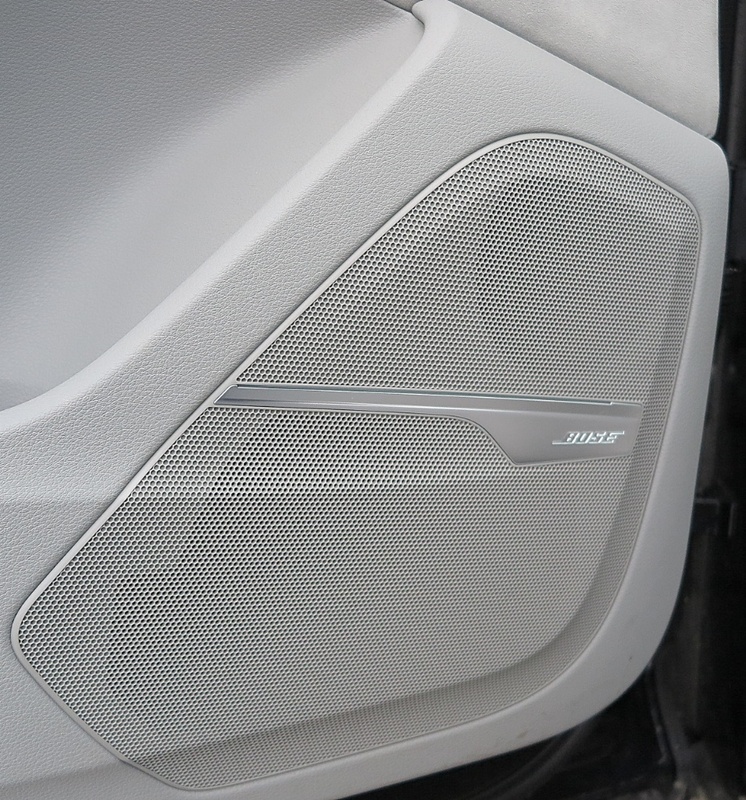 As you'd probably expect the audio quality of the sound system is outstanding, aided by an array of 10 Bose speakers! Up front the electronics are much more than whizz-bang. 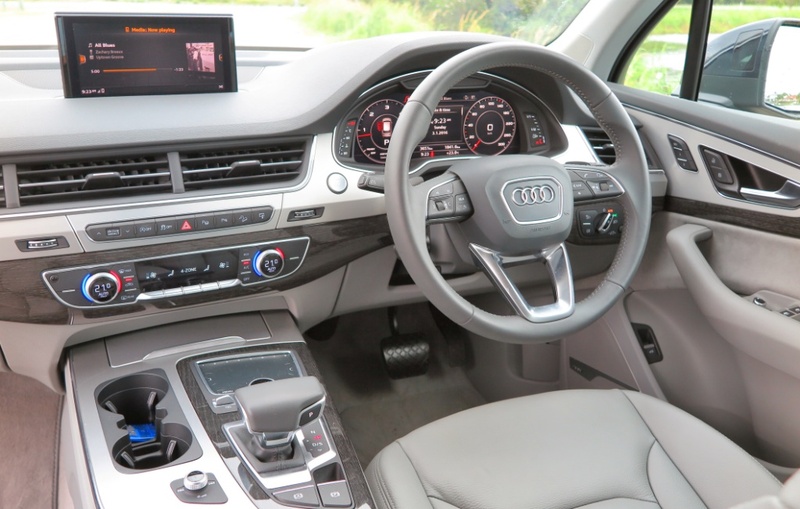 They’re very intuitive to use, and Audi’s trick of the screen rising from the dash like Lazarus is just part of the meticulously-designed cockpit. Nice to look at, great to live in and easy to operate. The instrument cluster is an outstanding piece of contemporary electronics design. The gauges and various indicators appear in a flat plane, because they are electronic concoctions created by LED programming. They are not physically there, they just appear when the ignition is switched on. Very impressive. 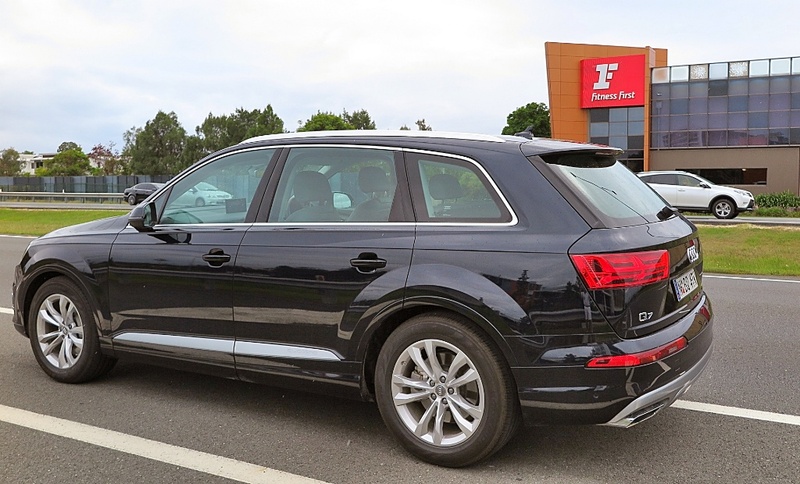 If you are buying in this market segment, do yourself a favour and visit your local Audi haus. 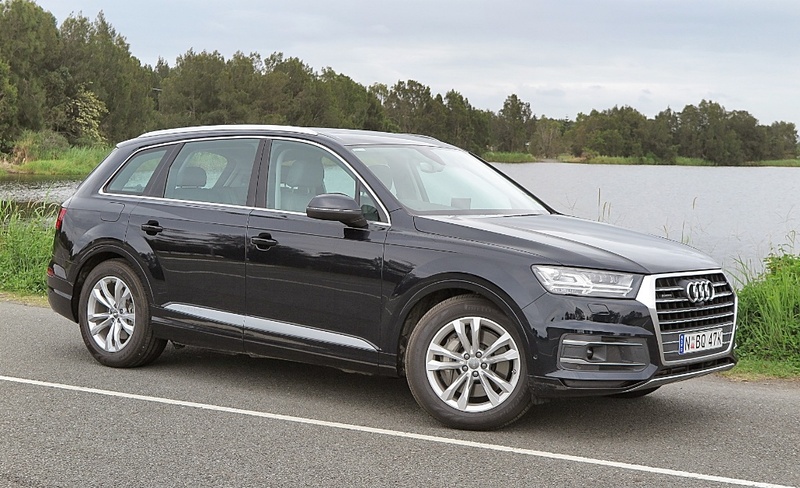 I suspect the new Q7, even at AUD$103,900 will be very appealing.